After several years of house price declines, Anguilla's real estate market is showing signs of improvement, reflecting a recovering economy. House prices started to decline in Anguilla in early 2009, according to Sotheby's International Realty. Property sales fell, as foreign demand weakened. From 2009 to 2012, residential lot prices dropped around 50% to 75%, according to local experts. In 2013 and 2014, residential property prices continued to drop, albeit at a decelerating pace. In 2015, residential property prices stabilized. Transactions have increased modestly, according to local experts. With an increase in sales last year, "things are better, but not back to where they were," said Jackie Pascher of Island Dream Properties in Anguilla. "I don't expect prices will start climbing until maybe the end of this year." There's increasing interest from foreign homebuyers. However, most sales to foreigners are taking place in the US$750,000 to US$1.5 million price range, with less demand for multi-million dollar homes than in the peak years of 2007-2008, according to Adrian Kobbe of Gum/ko International. Despite many recent inquiries in the US$5 million to US$7 million price range, added Pascher, they haven't yet translated into deals. Anguilla is a very mixed market. It attracts affluent foreigners seeking a third or fourth home but it also offers affordable condominiums to budget homebuyers. While the low end offers a sprinkling of $200,000 condominiums, Anguilla's market also has mega-villas priced as high as $25 million, said Hauser. 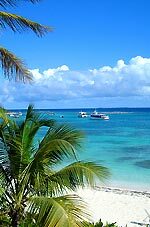 Most foreign buyers in Anguilla are Americans. There is also increasing interest from Britons, Canadians and Russians. 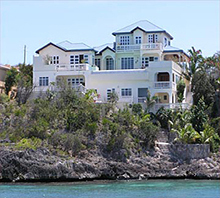 The East Caribbean dollar (XCD) is Anguilla's official currency, but many property listings and transactions are in US dollars. The economy is expected to grow by more than 3% this year, after expanding by a modest 2.24% in 2015, according to the Eastern Caribbean Central Bank (ECCB). The economy was in a prolonged and deep recession from 2008 to 2012, with GDP contracting by an average of 5.1% every year. Anguilla experienced a property price boom from 2004 to 2007. The sharp property price increases were driven by strong foreign demand, partly the result of celebrity sightings which have made the island 'chic'. Brad Pitt and Jennifer Aniston spent their final days as a couple on the island. Denzel Washington celebrated his 50th birthday in Anguilla. Anguilla experienced a construction boom in 2005, as demand for real estate increased. However, construction activity almost ground to a halt at end-2008 due to financing difficulties faced by developers, coupled with a sharp drop in demand. Numerous tourism and residential projects were cancelled or delayed. These included the construction of The Flag project at Temenos was stopped, the Flag's golf course development at Rendezvous Bay, the expansion plans for Altamer at Shoal Bay West, the Rendezvous Bay Hotel, the Privee at Shoal Bay, and the Fairmont Anguilla at Forest Bay, among others. After almost five years, construction activity was improving gradually. Non-belongers are required to obtain an Alien Land Holding License to purchase property, which can only be up to half an acre. If more land is needed, further permission from the Government of Anguilla is required. A fee of US$1,200 per year is payable for a permit to rent out a property. Current yields are around 38.8% for properties with at least 12 bedrooms located in prime coastal areas particularly the West End, the center of Anguilla's rental market. This figure applies to short-term leases, usually one week, and takes into consideration varying rates during peak season and off-peak season. The government has abandoned a previous rule that foreign-owned property cannot be rented out. The restriction was aimed at stopping tax evasion by non-resident owners. Instead, from 2007, all landlords must appoint locally-registered representatives to be responsible for tax payments. Rental Income: Properties rented by tourists are liable to the 10% Accommodation Tax, which is levied on the gross rent. Property: Property taxes are levied at 0.0175% of the property's assessed value. Capital Gains: There are no taxes on capital gains in Anguilla. Inheritance: There are no inheritance taxes in the island. Residents: There are no taxes on income in Anguilla. But stamp duties and fees are levied on certain types of income. Roundtrip transaction costs are between 21.55% and 24.70% of the property value. The Alien Land Holding License is 12.5% of property value with a filing fee of ECD1,075 (US$398). Stamp duty is 5% while legal fees are typically at 2%. Real estate agent's commission ranges from 2% to 5%. 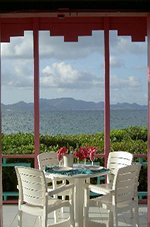 Tenancies in Anguilla are usually short-term. It takes an average of 91 days to evict a tenant. Anguilla’s economy relies mainly on tourism and financial services. Anguilla's tourist industry targets the luxury market, and caters mainly to visitors from North America and Europe. After a tourism boom (2004-2006), tourism in the island declined sharply in 2008-2012, mainly due to the adverse impact of the global crisis. Now Anguilla’s tourism sector is booming again. In 2015, the total number of tourist arrivals rose by 5.3% compared to the same period last year, to 186,068 people, according to Anguilla Statistics Department and the ECCB. The number of stay-over visitors rose by 3.2% y-o-y to 73,232 people. The number of Americans and Caribbean residents who visited Anguilla increased, while the number of Canadians dropped. The number of Britons who visited Anguilla was almost unchanged. The number of excursionists rose by 6.6% y-o-y to 112,836 people. From 2004 to 2007, Anguilla’s average annual GDP growth was 14%. However, the economy contracted by 0.31% in 2008, plunged by 16.5% in 2009 and by another 5.8% in 2010. GDP declined by 1.2% and 1.8% in 2011 and 2012, respectively. The economy then expanded by a meagre 0.32% in 2013 before recording strong growth of 6.7% in 2014. In 2015, Anguilla’s economy grew by a modest 2.24%, according to the Eastern Caribbean Central Bank (ECCB). Anguilla experienced deflation (a decrease in prices) of 0.99% in 2015, after a decline in consumer prices of 0.25% in 2014.